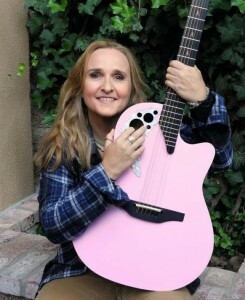 Looks like her 16 year absence from the local touring circuit has created a a bit of demand for tickets in Sydney, with US singer Melissa Etheridge today confirming that she’s added a second Sydney date to her July visit. Frontier announced this morning that Melissa’s first concert at the Opera House on Wednesday July 11 has now fully sold out, prompting them to add a second date the following evening. Melissa will be performing a number of the tracks that have made her famous across her 23 year career, including ‘I Want To Come Over’, ‘Like The Way I Do’, ‘Come To My Window’ and her biggest Australian hit ‘Bring Me Some Water’. She’ll also play tracks from her most recent album ‘Fearless Love’. Tickets for the new Sydney date are on sale on Tuesday December 13.